What is the best combination of film and song that share the same name? 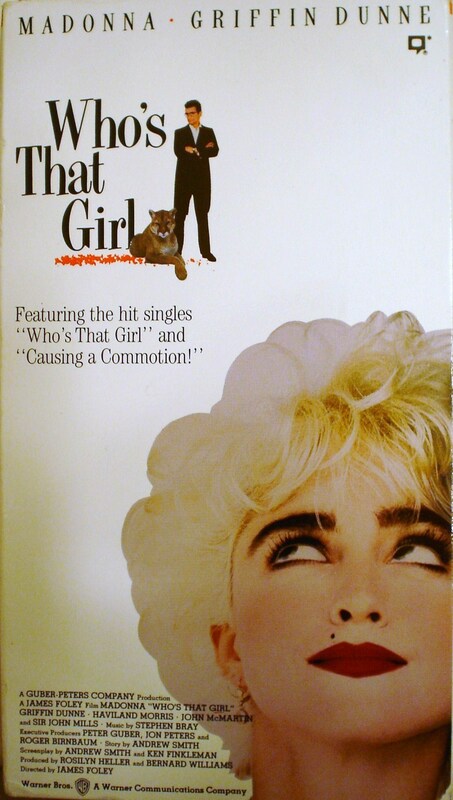 Now, I’m not talking about combinations where the song appears on the movie’s soundtrack (Purple Rain, Who’s That Girl?) or instances where the film was clearly named after the song (Blue Velvet) or vice versa (Badlands). I’m only interested in songs and movies that have absolutely nothing to do with each other except a shared title. Which great pieces of art serendipitously shared a name? Let’s find out. Maybe I just wanted an excuse to link to this video? Or at least pay tribute to what is inarguably the best song of Trent Reznor’s career. And while Natalie Portman as a stripper may not be easy to buy, Closer is a sterling example of Mike Nichols at his least pandering — it might be his strongest film since The Graduate. And Warrior’s MMA take on Rocky just demands to be liked. “Kingpin” carries the second half of Wilco’s double album/coming-out party, Being There. It’s a five-plus-minute departure that finds Jeff Tweedy and his band looser, jammier and funkier than they had ever been before. And Kingpin is the Farrelly Brothers movie that best stands the test of time (including There’s Something About Mary), thanks in large part to the winning combination of Woody Harrelson and Bill Murray. Pearl Jam opened their second album with the propulsive “Go,” authoritatively announcing their intentions to move beyond the chart-topping sounds of Ten. Meanwhile, Go remains one of the most underrated movies of the ’90s, and one of the best post-Tarantino attempts at weaving together multiple stories while maintaining a hipster tone. Plus, a shirtless Timothy Olyphant for the ladiez. “Drive” is the stunning introduction to R.E.M.’s Automatic for the People, replete with lush acoustic guitar and Peter Buck’s Queen homage solo. Drive was 2011’s near-masterpiece of tone and form (and jacket) that made the year-end list for both David Simon Cowell and me. Am I missing some? I’m surely missing some. Let me know in the comments.